Spend two magical hours admiring the New York City skyline by night on one of our popular evening cruises. Enjoy a drink and a snack or just sit back and relax as your guide tells you about the different sights and buildings. 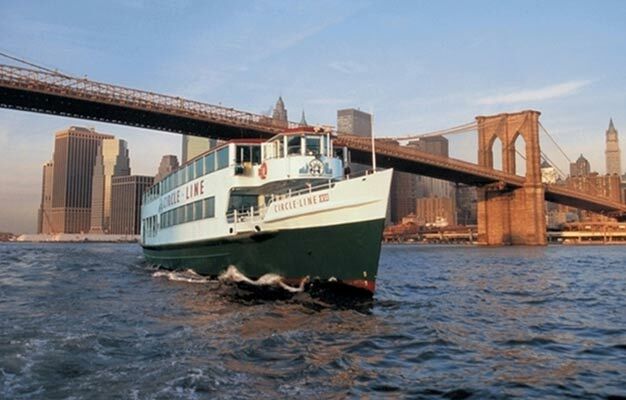 Enjoy New York's beautiful and remarkable skyline as you sail down the Hudson River. We'll pass by Battery Park, up the east river and back to the 42nd Street Pier. Sip your favorite cocktail or enjoy a snack on board (for additional purchase on board) or just sit back and relax while the guide points out the interesting sights and soft music plays in the background. 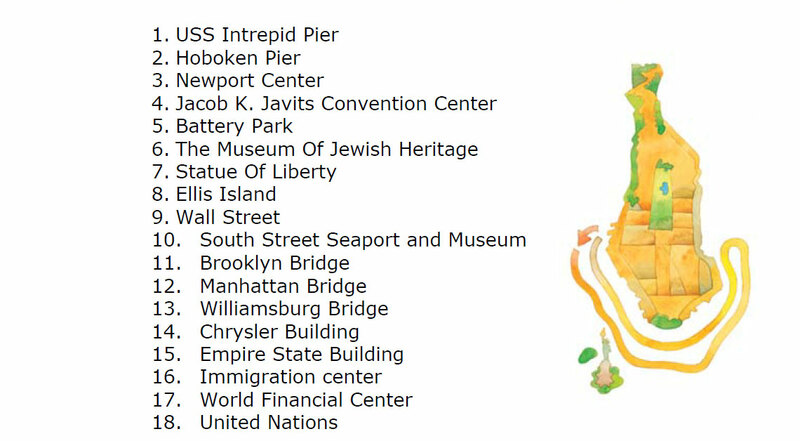 You can see a list of all of the sights during the cruise here. Shortly after your booking is complete, you will receive an e-ticket by mail. Please print out your ticket and bring it with you to Circle Line 42nd Street ticket office where you exchange it for your boarding pass. The cruise starts from Pier 83, West 42nd Street. The cruise lasts 2 hours. Please be there 45 minutes before the tour starts for ticketing and boarding. Your tickets are only valid on the date you choose. Yes, children's tickets are available for children between ages 3-12. Children under age 3 are free when accompanied by a paying adult. Various departure times. See more to the left.